General Electric’s CEO Jeff Immelt speaks about the current global financial meltdown and how to restore American leadership in the global economy by proposing some economic innovation and strategy techniques. Immelt exhorts Americans around focusing on Research & Development and strengthening the manufacturing sector and moving away from the current service and consumption based economic model. The model of letting other countries manufacture what America invents is not working anymore. 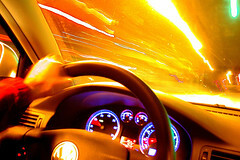 There are a number of factors which increase the cost of buying a car. We outlined the various reasons which factor the cost of owning a car. We also showed you a list of 10 worst states which increase the true cost to own a car. Now, in this list below, we give you the 10 best states to own a car, where the cost of buying a car and maintaining a car are low enough to be happy about considering a car as a needed investment. This is a list of 10 worst states where the cost of owning a car is significantly more. There are a number of factors which go into increasing the true cost of owning a car. This list of 10 worst states to own a car is based on costs such as State Taxes, Average depreciation, finance rates, Auto Insurance costs, Average fuel changes & costs, expected maintenance of the car, and repairs costs. For this list, the numbers would vary a bit based on the make and model of a car, but for most part, the expenses here would be consistent based on the percentage of the total true cost to own a car. Are you thinking about getting a new car? Depending on where you live, the cost of owning a car will vary significantly. Even though you may have a very good credit history, the cost of financing in some states will vary, increasing the cost of owning a car in some cases by almost $6000 over a period of five years. The other factors that increase the cost of owning a car would be insurance, depending on where you live, taxes and fees, fuel and gas prices, car maintenance and rate of depreciation. Last year Ben Bernanke, the chairman of the US Federal Reserve, earned $183,500. With bonuses included, this is almost exactly what a graduating MBA now expects to be paid to create PowerPoint slides for a bank or consulting firm. But don’t expect them to look happy about it.